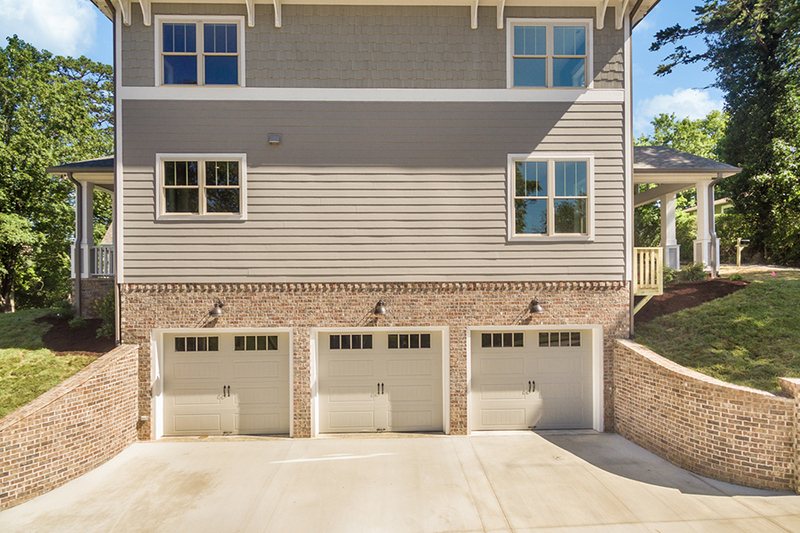 This Modern Craftsman – in an urban setting – is another one of our very favorite homes. 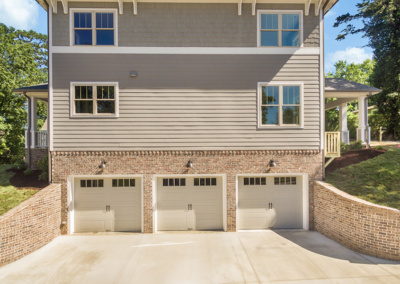 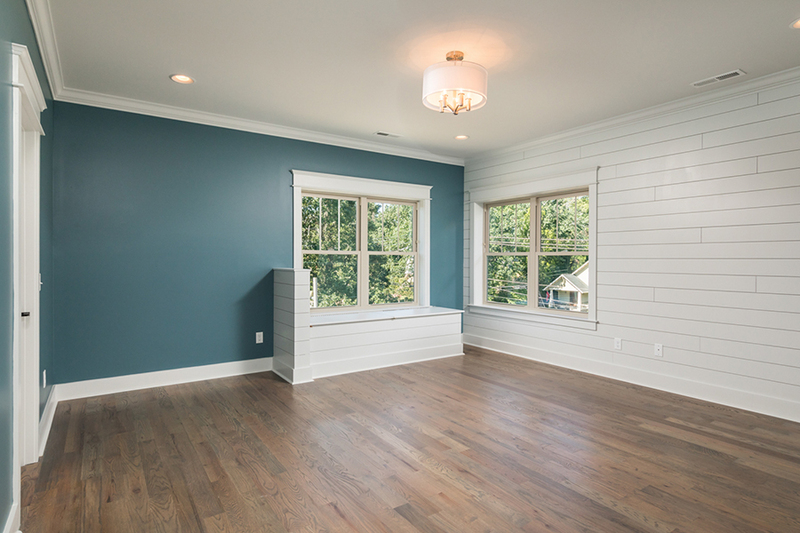 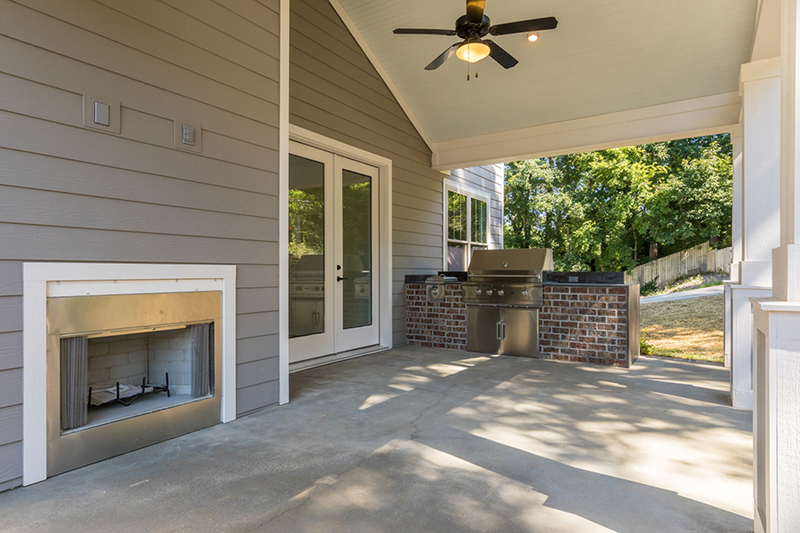 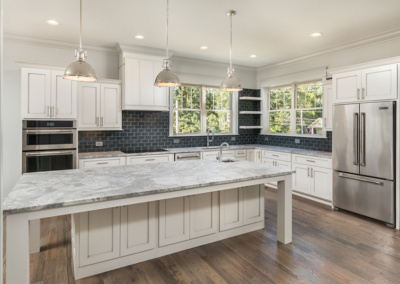 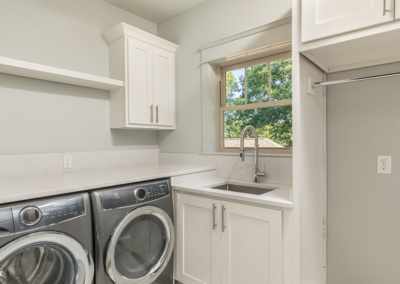 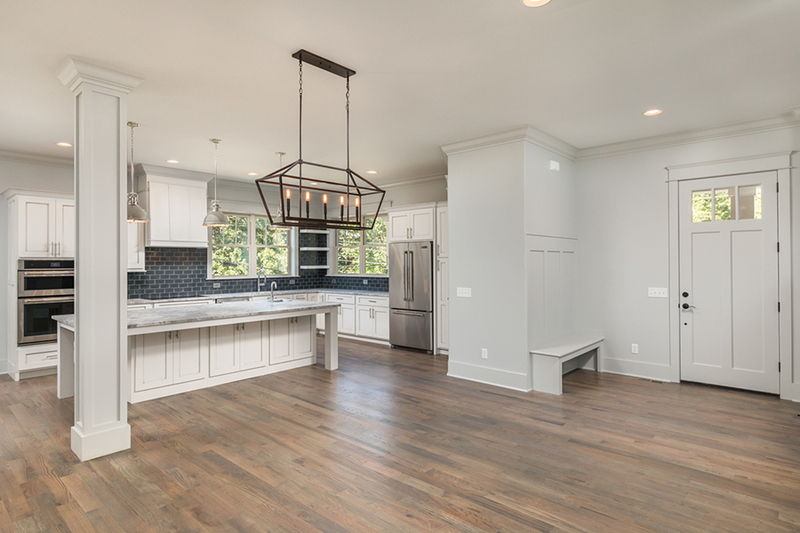 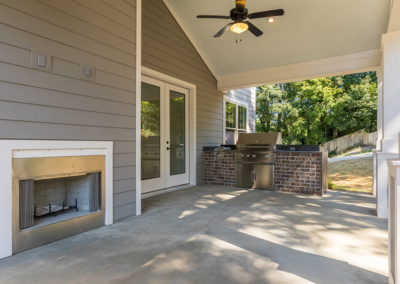 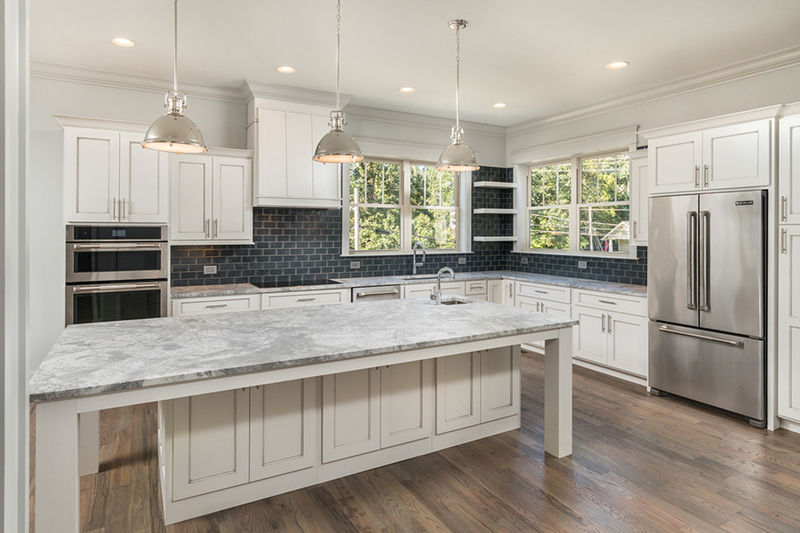 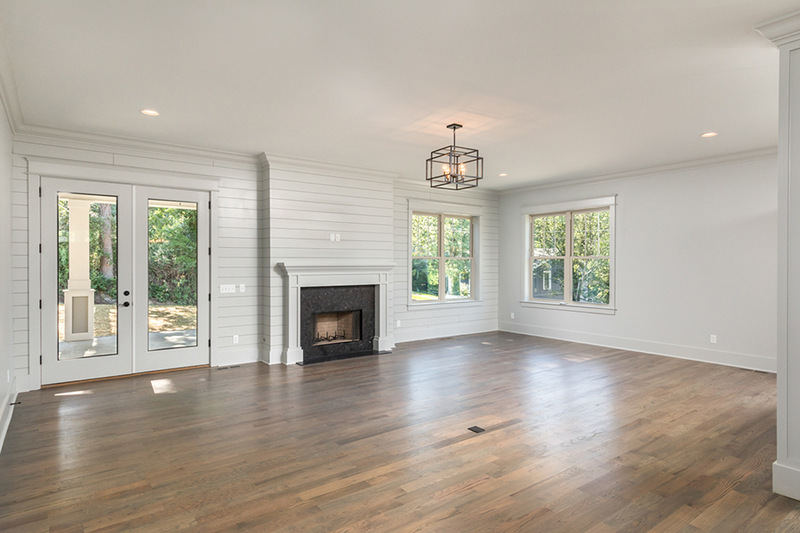 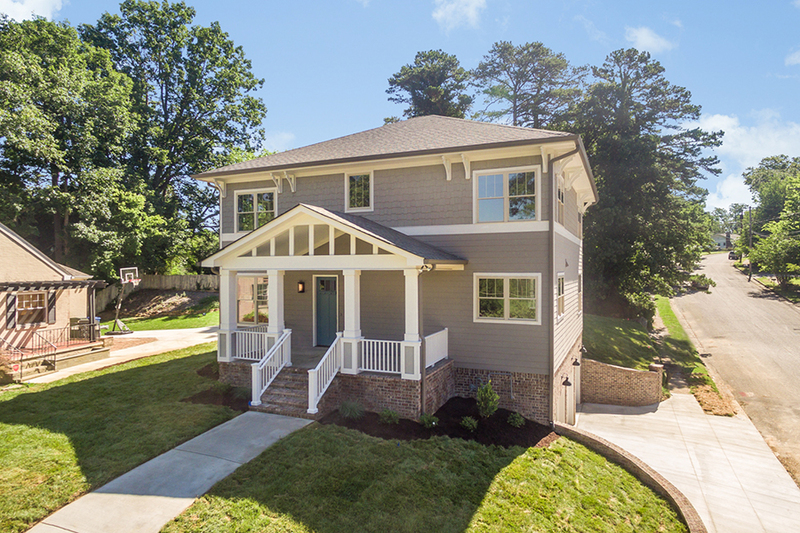 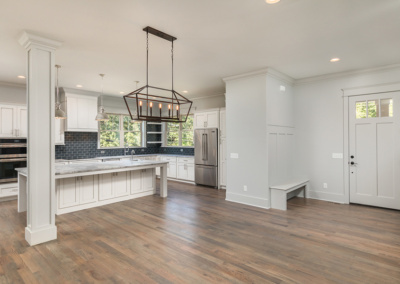 From it’s subtle exterior detailing, to its carefully selected color pallet to its incredibly efficient use of space, this home optimizes the Craftsman style. 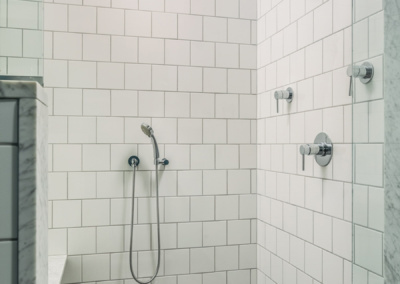 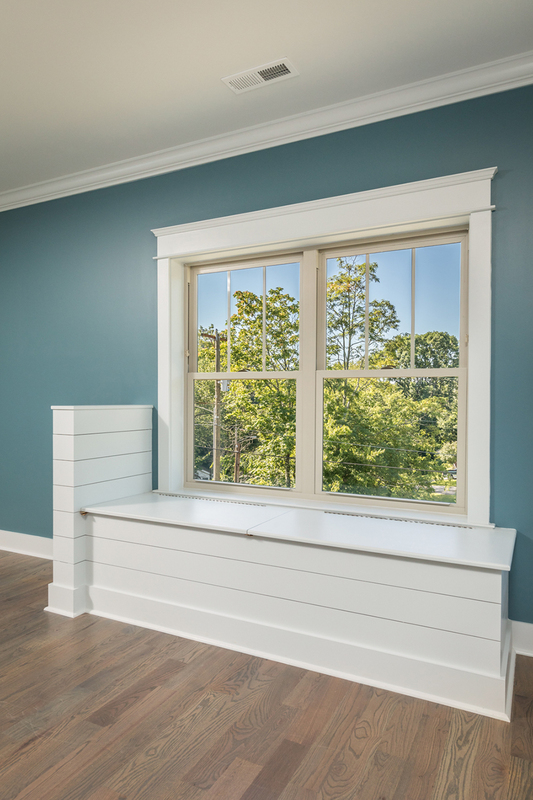 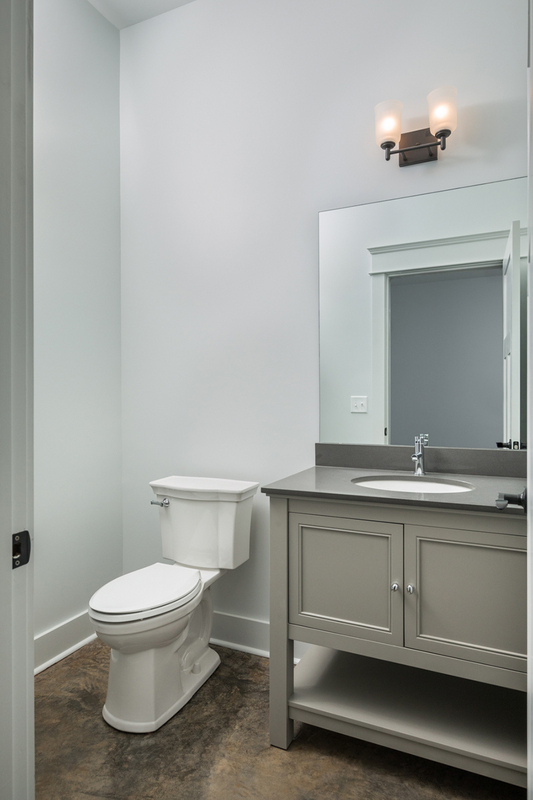 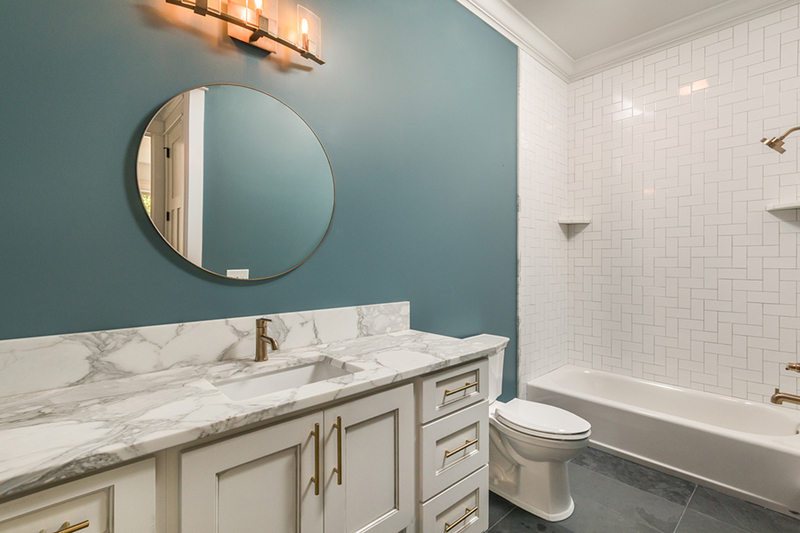 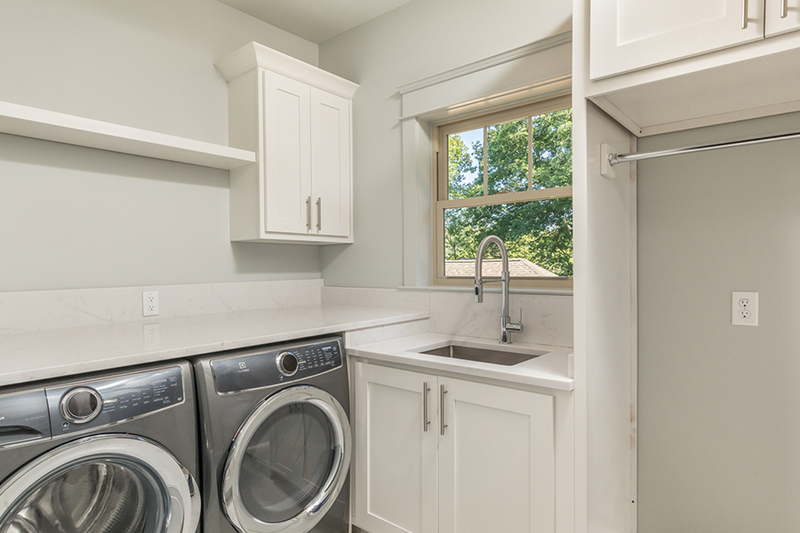 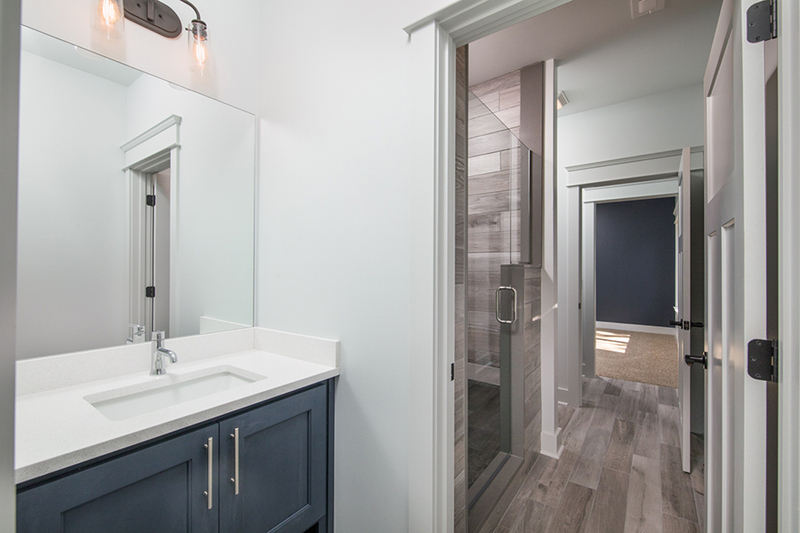 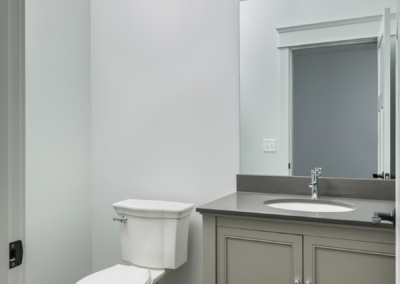 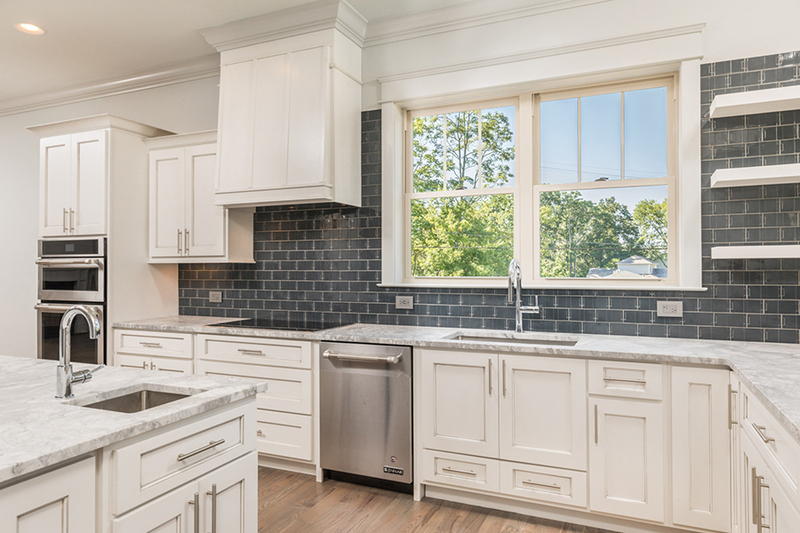 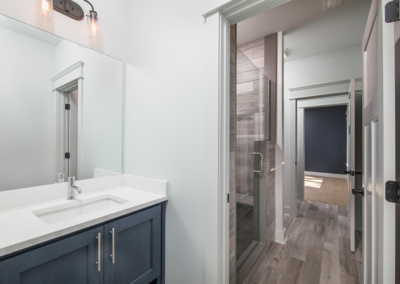 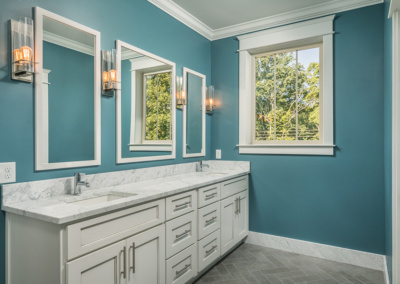 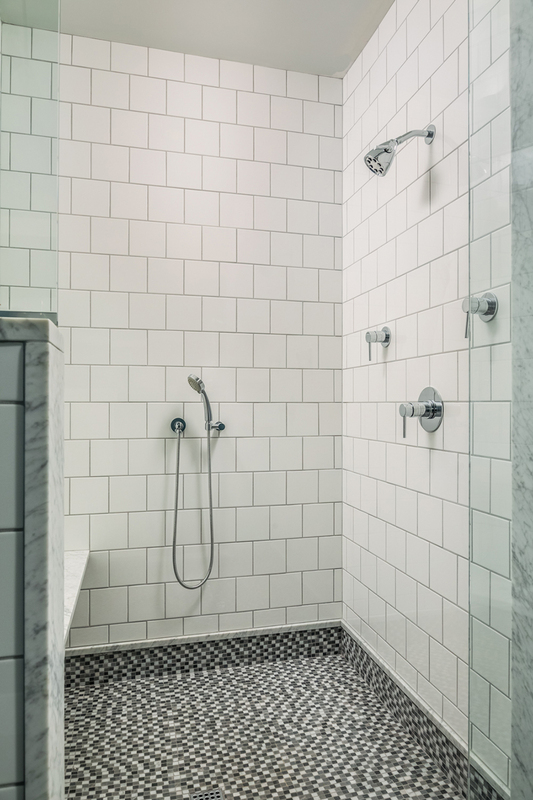 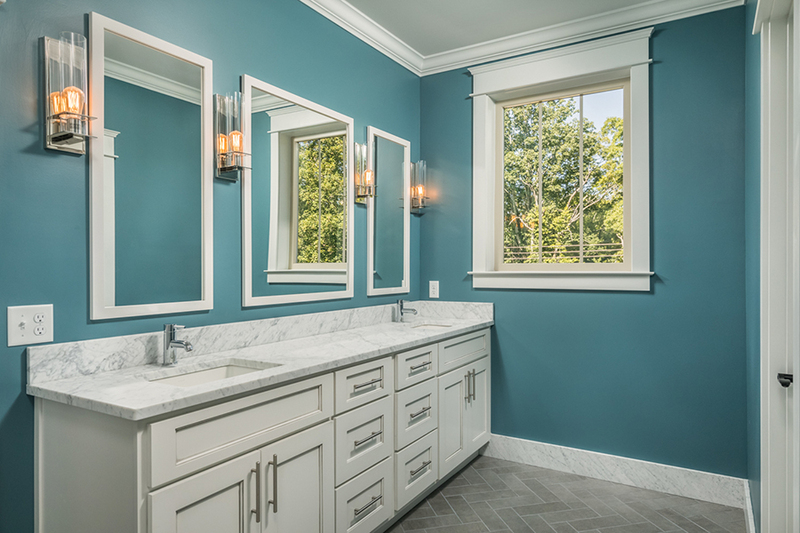 Warm grays complimented by desaturated blues are offset by clean white trim. 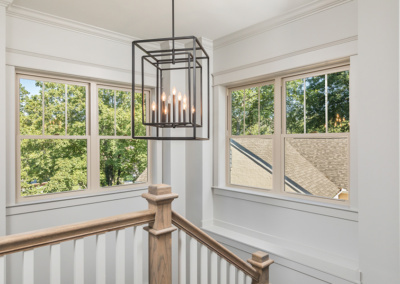 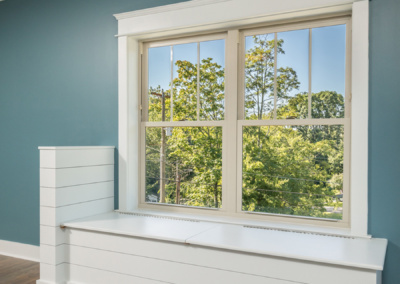 Its classic molding, column and window details along with its simple soffit brackets make this home readily identifiable – from the exterior – as one of the craftsman style. 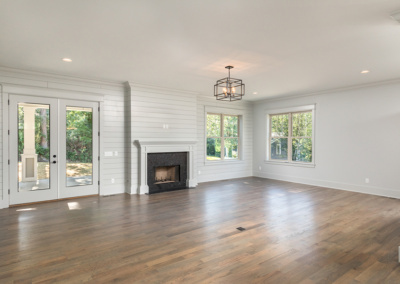 Its clean lines and unbelievably efficient use of space make it readily identifiable – from the interior – as one of the craftsman style. 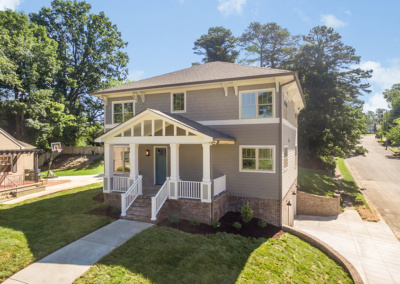 With limited space to build, this plan can’t sprawl. 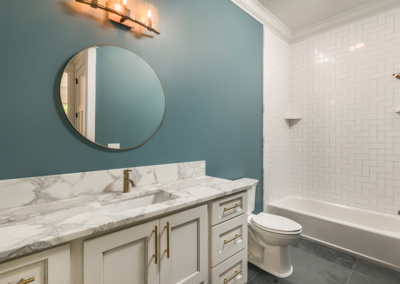 Instead, it reaches for the stars. 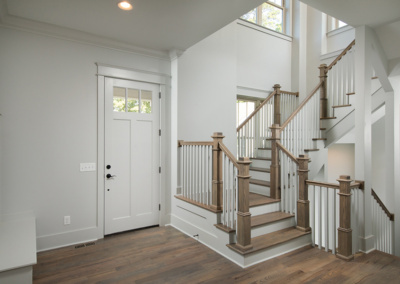 Three floors are carefully connected by a gracious column of stairs. 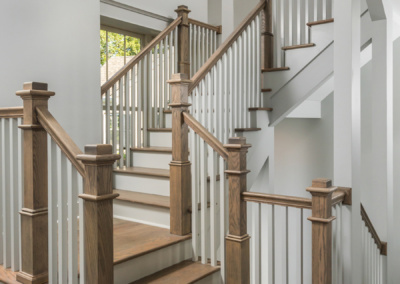 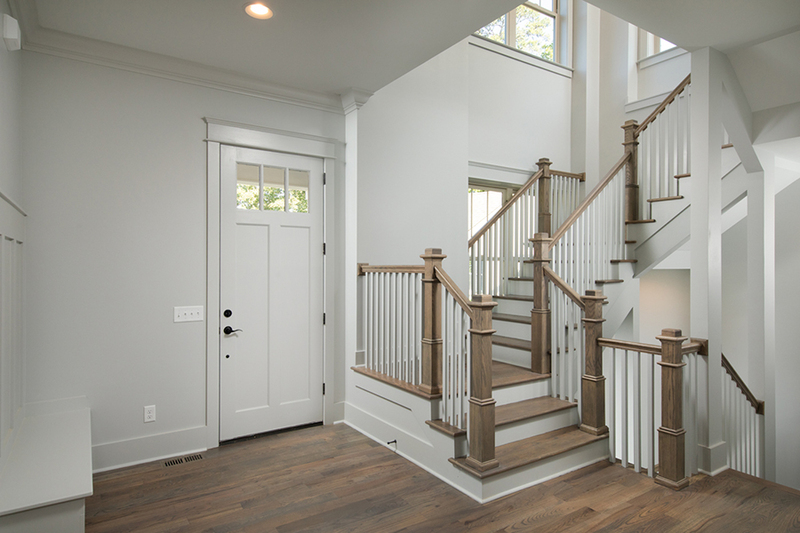 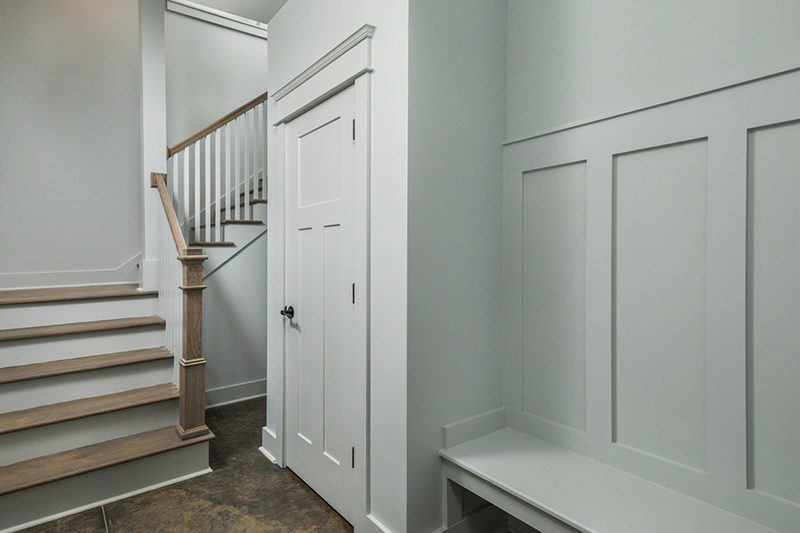 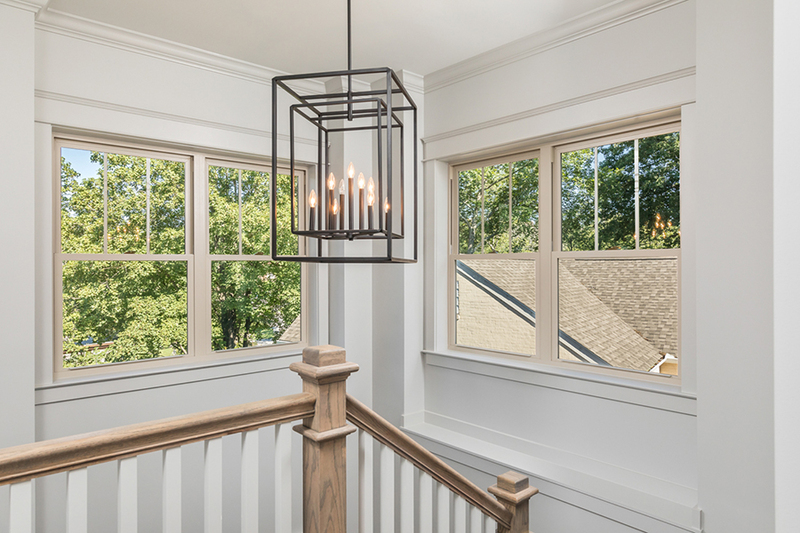 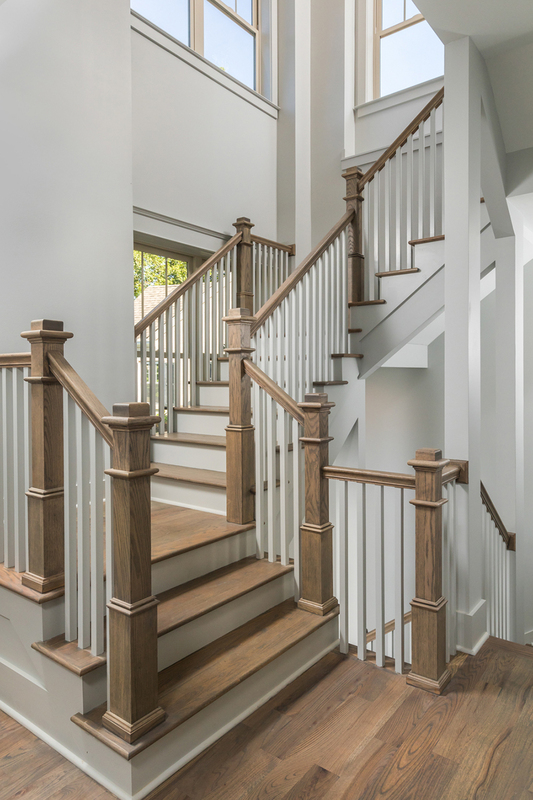 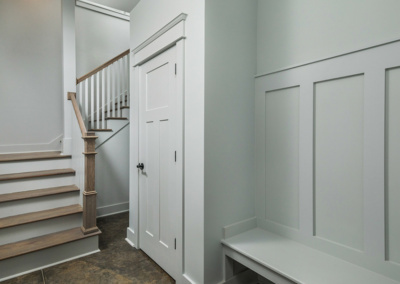 It features stained, solid oak newel posts and hand rails juxtaposed alongside bright white balusters. 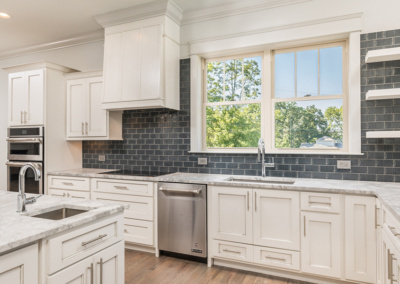 The kitchen – with its bright, near-white cabinets – features a stunning indigo subway tile backsplash and leathered granite countertops.